BabyLove recently commissioned a survey of more than 200 parents of children aged 2 to 15 years, to gauge their experiences, views and behaviours towards bedwetting. If you have a 2-3 year old who wets the bed, you’re likely to be fairly relaxed about it, viewing it as ‘natural’ and a part of ‘growing up’. After all, nearly all children of this age wet the bed at some time. However, once a child progresses through primary age and beyond, and the behaviour becomes less common among their peers, attitudes can shift dramatically with both parent and child feeling increasingly anxious about the bedwetting. BabyLove recently commissioned a survey of more than 200 parents of children aged 2 to 15 years, to gauge their experiences, views and behaviours towards bedwetting. In addition to finding that the child’s age heavily dictates a mother’s attitude towards bedwetting, the survey also found more than 8 out of 10 mums engage in a routine to help with their child’s nocturnal behaviour. “Something as simple as reading to a child before tucking them in, or going to the toilet before hopping under the sheets, can make all the difference to how a child sleeps,” said Leanne Hall, Clinical Psychologist and spokesperson for BabyLove. The survey of 225 parents was undertaken this year, and revealed that mothers want ready access to bedwetting information – especially mums of older children, who deemed this as ‘extremely important’. This is to the fact that these mums report embarrassment and shame around their child’s bedwetting, hence are looking for accurate information to help reduce their own anxiety. Searching nappy and baby websites was a popular source of information, with just over one third of mums jumping online. Mothers of older children tended to rely on professional practitioners for advice, and family and friends were also another important source of information for all mums. The survey found that for mothers of younger children, the behaviour is considered normal and part of their developmental growth. This is helped by the fact that bedwetting is quite common in this age group, so it’s possible that these mums tend to feel less isolated. For mothers of middle aged children (4-7 years), some viewed it as an inconvenience, but an occurrence their child will grow out of. For mothers of older bed wetters (8-15 years), their sentiment is more negative with feelings of embarrassment and shame, as well as stress and concern. An attitude also reflected by their child. “It is important to find ways to reassure children and reduce feelings of embarrassment, anxiety and fear around bedwetting. We hope that by developing comfortable, easy to wear products that enable children to sleep more peacefully, we can at least reduce some of the stress and worry they may have about waking up at night,” says BabyLove’s Debra Smith. Psychologist Leanne Hall says the best way to address the behaviour is to reassure your child that it’s not their fault, and to remain calm, which can be difficult when your sleep is interrupted! “There is a high level of self-consciousness among children on this matter and the best way to address it is to be open and honest with the way you communicate with your child about their behaviour. Let them know they are not alone, and reassure them that the behaviour will eventually go away,” says Leanne Hall. Use an overnight pant that is highly absorbent as this will reduce your child’s stress and fear of wetting the bed. Reward dry nights, and don’t make a fuss of night time accidents. 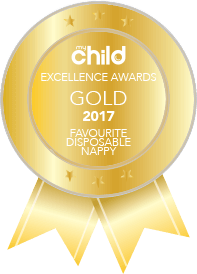 Unlike regular nappies, BabyLove’s SleepyNights are specifically developed for night time use. Like a pair of underwear, they feature a stretchy waistband, and have a highly absorbent core and leakage protection around the legs and waist, which also make them more comfortable. Available in three sizes, from toddler through to mid-teens, they are aimed to support children throughout their physical development and allay their fears of waking up wet from a night time accident.